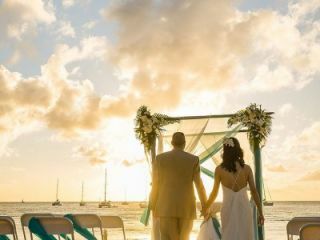 Take the stress out of planning your destination wedding in St. Lucia with the carefree, customizable wedding packages at Bay Gardens Resorts. Whether you’re planning a private beach ceremony, a garden gathering, or an intimate affair in an island setting, our wedding packages are the perfect option for stress-free celebrations of love and include everything you need to get married in St. Lucia. 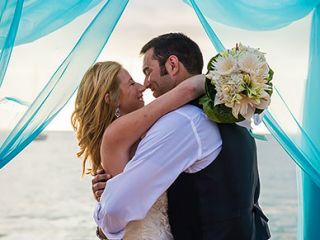 ** The Magic Moments Wedding Package is FREE with a confirmed booking of a Pool View or Beach Front View Suite at the Bay Gardens Beach Resort and Spa, Superior Room Category at the Bay Gardens Hotel & Inn and Bay Gardens Marina Haven by the Bride and Groom for seven (7) nights or more. FREE wedding is not combinable with any other promotion and is exclusive of Registrar fees and licenses. 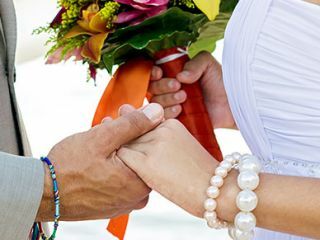 All weddings, including the free wedding, require a local licensing fee of US$250.00 (Subject to change). This fee is payable to the local authorities and include all licenses/services of the registrar and a copy of the marriage certificate. Transportation to and from minister office is included. Only applicable to wedding taking place at our Bay Gardens Resorts properties. Our delightful Magical Moments wedding package features sparkling wine, flowers for the bride and groom, a champagne breakfast in bed, and other romantic touches. The Blissful Beginnings wedding package include fresh flowers for the bride and groom, a couple’s massage, and romantic picnic for two at Pigeon Island. Our most luxurious and inclusive wedding package, Eternity includes a couple’s massage, photo session, flowers for the bride and groom, and romantic sunset cruise and more.